2019 Registration opens in March!!! ﻿﻿Cobb Football League is the official High School feeder Youth Football and Cheer program comprised of Cobb County Schools, City of Roswell/Fulton County Schools, Marietta City Schools, and Paulding County Schools. Players K- 5th grade will play for the High School District that they live in. If you are not in one of our Districts and choose to play for our league, please contact the Director of your closest program, or simply register and you will be contacted by a league representative. 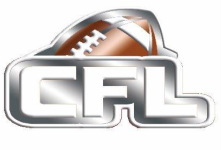 Please note: CFL rules state that each child must play in the High School District they reside in. Failure to do so could result in team forfeiture. If you are in Cobb County you can use the "district finder" page above to locate the correct District. If you do not know the High School you are Districted in please use the "bus route finder" on the website of your particular school district or call the Elementary School your child attends and they can help you.